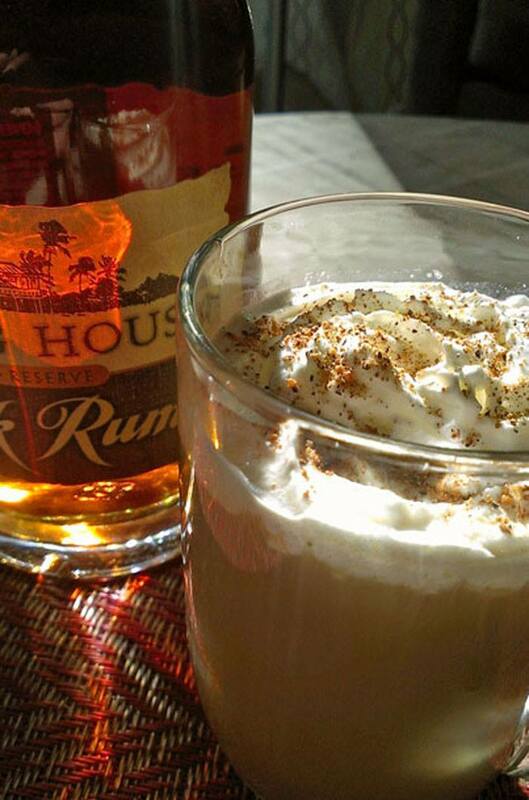 Warm up with some hot buttered rum scented with freshly ground nutmeg. We take a few turns with the basic recipe, but if you use a tasty dark rum and add a touch of richness with some butter and spices, you have a savory winner that will blast off the winery chill! Beat butter, sugar, orange zest, cinnamon, ginger, and nutmeg with a mixer on medium speed until combined, about 1 minute. Combine 2 tablespoons spiced butter with 1 1/2 ounces (3 tablespoons) dark rum in each of 4 heatproof glasses. Pour 3/4 cup boiling water over each, and stir. Top each with a squeeze of fresh orange juice. Top with whipped cream and freshly grated nutmeg.